Easy Wood Tools -- Amazing Results! Easy Wood Tools Lathe Chisels -- Amazing Results! Are You a Good Woodworker But a Lousy Lathe Turner? Boy! Have I Got Some Fantastic News For You! If your wood-turning results usually leave a lot to be desired, these great chisels from Easy Wood Tools will make even YOU a CHAMP in record time -- PROMISE ! 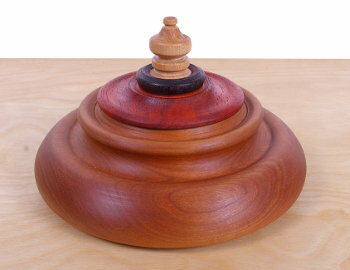 In the nearly 50 years that I've been woodworking, I've built hundreds of projects for my home, family and friends...plus a few dozen scrap pile specials... most of those having involved some form of failed wood-turning attempt. My wife says I'm too heavy-handed... an opinion that I believed until a few days ago. That's when the Easy Wood Tools folks talked to the people at Shopsmith... and after hearing my story, sent a set of these chisels to Shopsmith for me to try out. I was skeptical, of course, and assured them that different chisels alone weren't going to solve my problems... but I figured “What the heck!” and accepted the challenge. “A chisel's a chisel”, I said... and told them that I'd already tried lots of ordinary types... as well as some pretty expensive and tricky ones, too... all with the same disappointing results. So, I read through the brief chisel instructions... mounted a big, octagonal chunk of cherry onto my Shopsmith faceplate... and braced myself for another disappointment. All the while, hoping that, as is usually the case, I don't snag the chisel, waste a good piece of cherry and have my wife come downstairs and find me once again “boo-hooing” in a corner, disappointingly. As I inch the chisel apprehensively into the wood, I'm amazed at how smoothly it cuts. No chatters, no bouncing around or snags. Can this be? Am I successfully DOING this ? I must be dreaming ! The shavings fly off to the side in long, continuous streams. The handle feels comfortable and secure in my hand with no vibrations. It's whisper quiet and smooth as can be. And then... within about half an hour, my bowl blank has actually become a fairly attractive bowl ! Quite frankly, I was absolutely dazzled --- and YOU will be, too ! 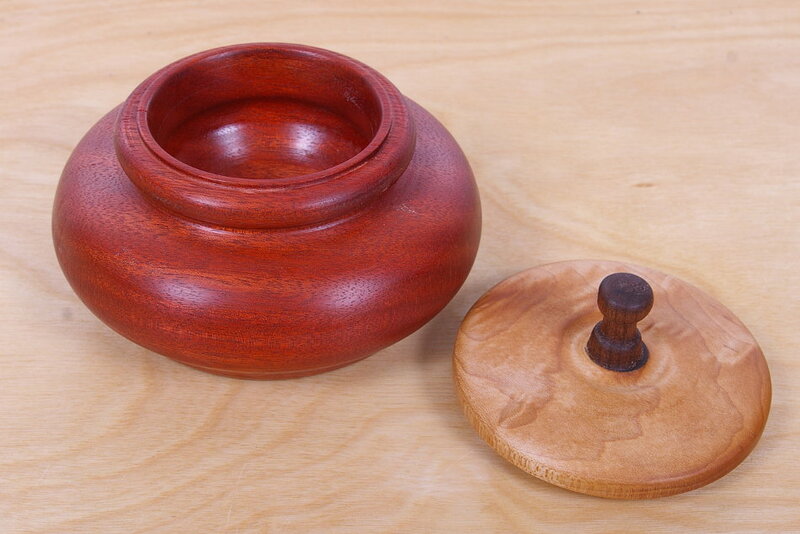 After a weekend of turning, I pack my two bowls up and drive them out to Shopsmith where I proudly show them off to my pals at my favorite woodworking company. Having known me since before Noah started work on the Ark, they all knew about my many failed turning attempts. So, when I opened the box and proudly showed them my latest attempt with the Easy Wood Tools chisels, a couple of them practically fainted in amazement. One “smarty-pants” even asked me who had turned the bowls for me ! And once I'd finished showing-off and was ready to go home, Bob Folkerth asked me if I remembered to bring the chisels back with me... to which I replied (in Charlton Heston fashion)... “You can remove them from my cold, dead hands once I've passed on to that great woodworking shop in the sky!” Nuff said ? “Novice” Or Skilled Turner - These Are Chisels You Will Appreciate Owning ! No matter what your skill level, you're going to love these Easy Wood Tools chisels. They will help help you achieve better woodturning results - PLUS -- save you the hassles and time you would ordinarily spend sharpening and re-sharpening conventional steel chisels.